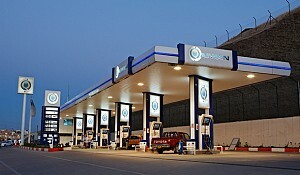 ERBIL –The Semi-autonomous Kurdistan Region of Iraq – what occasionally political analyst refer to as a "statelet" – owes its economic and political existence in no small part to its large reserves of oil and the interest that other nations have taken in cutting separate deals with the mini-state. Driving the region's economy is Kurdistan's gas and oil reserves, estimated respectively at 100-200 trillion cubic feet and 45 billion barrels, with possibly another 25 billion potential barrels in unproven reserve. That along with a rapidly emerging market in infrastructure construction, telecom, power networks, residential and commercial building along with advance urban planning and other management consulting has led to growing FDI, which was sparked by the region's progressive 2006 law enacted three years after the fall of the Hussein government. The Iraqi constitution states that all oil and gas is owned by "all the people of Iraq in all regions and governorates". 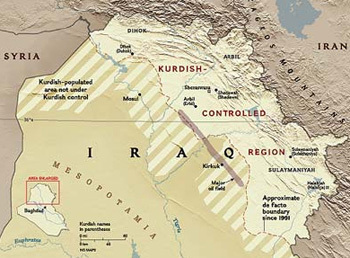 At question, though, is who is developing and pumping oil and natural gas in the Kurdistan region; how much of it goes for export under the control of Baghdad, what companies have made deals with the central government of federal Iraq; and which companies have made deals directly with the Kurdistan Regional Government. Particularly at issue is what companies are making large plans directly with the KRG to pump oil through under construction pipelines north to Turkey for sales to that country or export to Europe or elsewhere. Also at question is the payment that the central government had been making to the KRG for oil delivered under the auspices of the Baghdad. The fact that payments have been essentially stopped – while political squabbles over the issue take place – encourages to the region to continue cutting its own deals on simple economic grounds. The Iraqi constitution states that all oil and gas is owned by "all the people of Iraq in all regions and governorates." The language of the constitutional document does not imply ownership of any particular resource by any particular group or geographical or political region. Of note is that the constitution does not vest oil and gas resources in the "state", nor does it allocate the resources to particular regions or governorates as defined by the under the constitution. 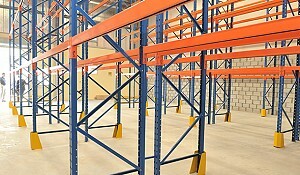 Instead, it only sates that the federal government, with the "producing" governorates and regional governments, shall manage oil and gas "extracted from present fields" subject to a revenue distribution formula, and provides for equitable distribution of revenues in proportion to the population, and that distribution "should be regulated by a law". 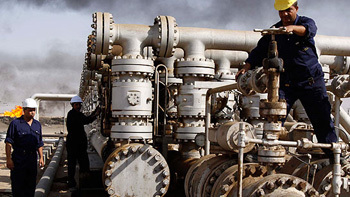 There are 49 oil and gas companies that have entered the Kurdistan region and according to statistics, under the terms of the production-sharing contract with the KRG, the payback is more lucrative in Kurdistan than in Iraq. Many in Kurdistan's government and the region's oil sector are betting that the first of a several new planned pipelines will free Kurdistan further from Baghdad's control and thus effectively end the political deadlock with the central Iraq government. Where this will ultimately put Kurdistan's relationship with the federal government is anyone's guess. There had been hope in the region that a Sept. 13 agreement would result in a restart of payments from Iraq, but in the ensuing months KRG officials said that Kurdistan's producers have only been paid for a third of the oil exported under federal auspices and for the capital they invested. 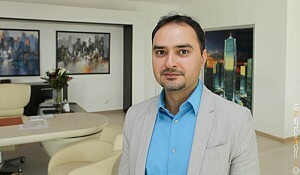 In an interview with the Oil Report, an online trade publication widely used by industry insiders, the KRG's Minister of Natural Resources Ashti Hawrami said: "The reserves of Kurdistan will be unlocked, there is no doubt about it, and find its way to the market," adding, "We are in dialogue with various parties – on the Turkish side, in the private sector. The oil companies in Kurdistan are willing to support and invest in that infrastructure." Hawrami comments were delivered on the sidelines of the recent CWC Group's Kurdistan-Iraqi Oil & Gas Conference. Also, the Oil Report reported comments from KRG Prime Minister Nechirvan Barzani, who said: "We are working to identify bottlenecks in the export infrastructure, to create the right investment scenario, and to get more oil to the market" telling oil executives at the CWC conference "This means building additional feeder and export pipelines for Iraq." Anglo-Turkish firm Genel Energy, the Kurdistan region's top oil producer, has said that it will invest and fund a pipeline to Turkey that would have a capacity of a million barrels for the Khurmal Dome, the southernmost production field in the region, situated near the disputed Kirkuk region. According to Genel CEO Tony Hayward, there also another pipeline nearing completion that will allow the company to pump crude for the Taq Taq field to a feeder line that is tied to the Iraq-Turkey pipeline. 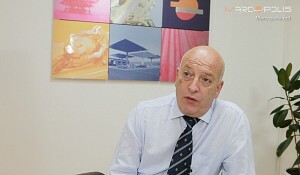 The CEO added that the company also has plans in place to export natural gas to Turkey. The deal to acquire Genel was backed by financier Nathaniel Rothschild, who together with Hayward, the former BP PCL chief executive, completed the $2 billion acquisition of Kurdistan-focused Genel Energy last year. Under the terms of deal, the then Turkish-owned Genel was acquired in a 50/50 all stock merger with Genel then valued at $4.2 billion. Readers will recall that Hayward was pushed out of BP's executive suite after the company's epic drilling disaster in the Gulf of Mexico. Another company, Gulf Keystone Petroleum recently announced plans for pipeline from the large Shaikan oil field to Turkey. Critics of Baghdad's political obstructionism estimate that without interference from the state Kurdistan could now be producing 750,000 bpd, or around three times its current capacity. 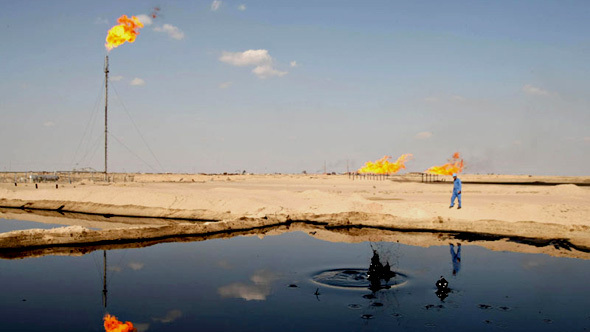 Federal Iraq has been proving a disappointment to oil producers and investors. 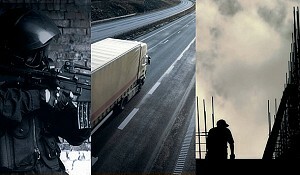 Reflective of many doing business with Iraq -- a private equity group established by Ziad Makkawi has indicated that earlier excitement for capitalizing Iraq plans for infrastructural improvements have waned because continued security risk have left the oil sector well below the level of production it should be hitting. "In Iraq, there are suicide bombings, political problems, the Central Bank governor was dismissed, others have been arrested -- these things cast a big shadow on the business environment, and investors shy away," said Makkawi, the chairman of Dubai-based Blue Gate Capital Partners to the Bloomberg financial news service. Other factors driving away foreign companies and Western executives are the daily blackouts, infrastructure problems, a congested port in Basra, along with corruption and red tape. Not that Kurdistan doesn't have some problems of its own – particularly on the question of corruption and nepotism – but its 2006 investment law grants very favorable terms to foreign investors and companies, and the region's brand is "stability and security" which Western visitors confirm. 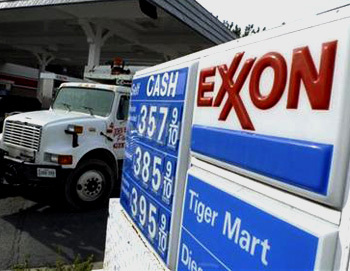 Early on the KRG caused ripples in Baghdad when it signed agreements with Exxon Mobil and Total SA, both of which companies were critical of terms offered by Iraq's central Oil Ministry. Before the KRG started showing its independent streak, the federal Iraq government controlled all oil exports and exercised sole authority to sign oil contract. The growing partnership between Turkey and the KRG has led to some kickback from federal Iraq. The Iraq Cabinet voted Nov. 7 to terminate an exploration deal with state-owned Turkish Petroleum Corp. Federal offices said that the removal of the firm from the contract was not punitive measure against Turkey or the KRG. It has been reported that Iraq has promulgated what amounts to an unofficial order not to give contracts to Turkish companies as part of an anti-Turkish bias caused by that country's unilateral dealings with the KRG. One company, large oil trader Vitol opted in mid-December not to take on Baghdad and issued an apology to the Iraqi government for its purchase of Kurdish oil exported to Turkey without the signoff of central government officials. The issue remains that in Baghdad's view, the KRG deals are de facto illegal.